Whether you have spring greens from a specialty grower, arugula you've grown on your windowsill, or hearty winter greens like kale or collard greens, start with fresh-picked lettuces or greens whenever possible. This following method works for head lettuce or loose or bagged lettuce. Smaller leaves can be left whole, and hearty greens like Swiss chard or Dino kale to be cooked whole can be simply rinsed off. But most greens will be easier to handle, cook, and eat if broken down. Tear, rather than chop, greens to minimize bruising and keep their crunchy texture. 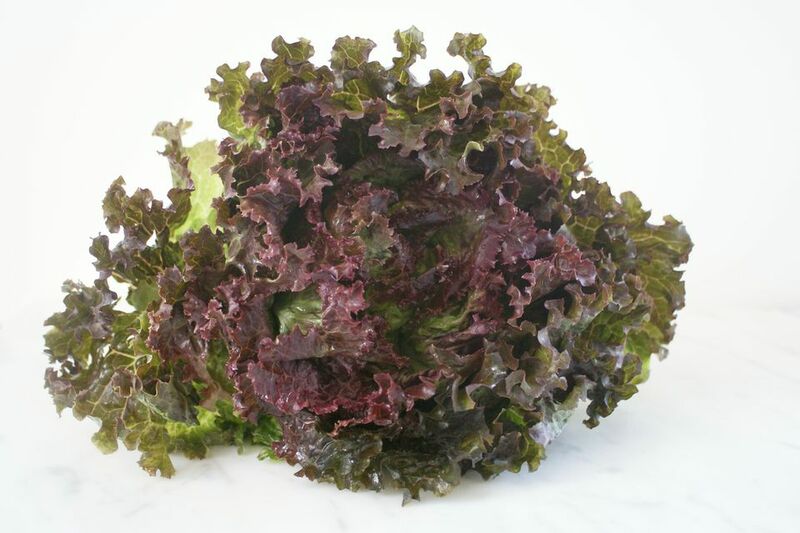 Although super stiff greens like collards and kale and be chopped rather than torn with no ill effect. Fill a large bowl or a clean sink with plenty of cool water. Add the lettuce or greens and swish them around to loosen and remove any dirt. Dirt and debris will sink to the bottom while the greens will magically float above all that mess. If you have a salad spinner, know that it works for more than drying! Use it for the washing section too. Put the lettuce or greens in the bowl of the salad spinner—leave the strainer section in! Lift the lettuce or greens up and out of the water, leaving the dirt and debris behind, and put in a colander or on a clean kitchen towel or layers of paper towels. If you used a salad spinner, just lift out the strainer insert. Otherwise lift the lettuce out by hand as pictured, putting it on clean paper towels or into a clean colander. Note: Do not pour the water and lettuce out into a colander together; the dirt that has sunk to the bottom of the water will end up back on the greens all over again. Spin the lettuce dry in a salad spinner or pat it with towels or roll it up in paper towels to dry the leaves as thoroughly as possible. Use the clean lettuce in a salad, cook, or see the next step for storing washed lettuce. To store the lettuce or greens: Lay several layers of paper towels or a clean kitchen towel on a clean work surface. Spread the lettuce or greens evenly on top. A length of 2 large or 3 regular paper towels or one large dish towel works well for a large head of lettuce or bunch of greens. Roll up the towels with the lettuce in them. 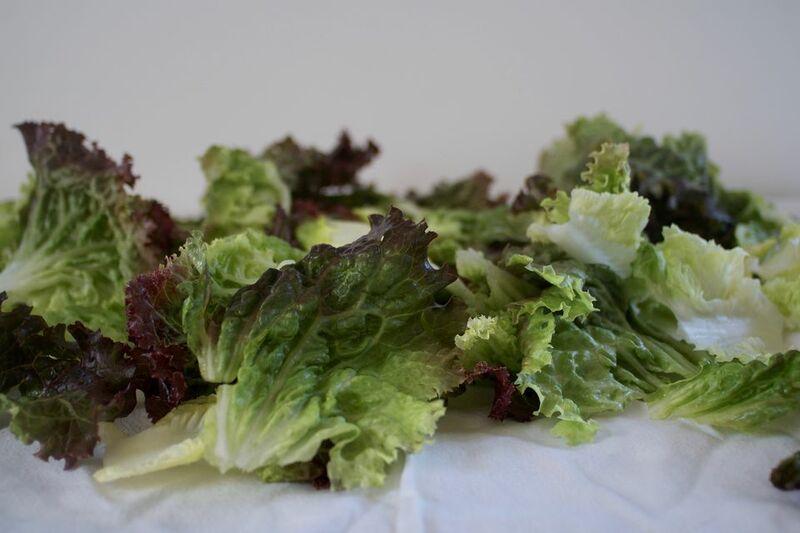 The towels will absorb any remaining moisture, which will keep the lettuce from wilting, while also maintaining a very slightly damp environment to keep them from drying out. That one-two punch will help them last much longer than lettuce stored other ways. Store the towel-wrapped lettuce or greens in a clean plastic bag and chill. Lettuce stored this way will last several days longer than uncleaned or un-rolled greens.